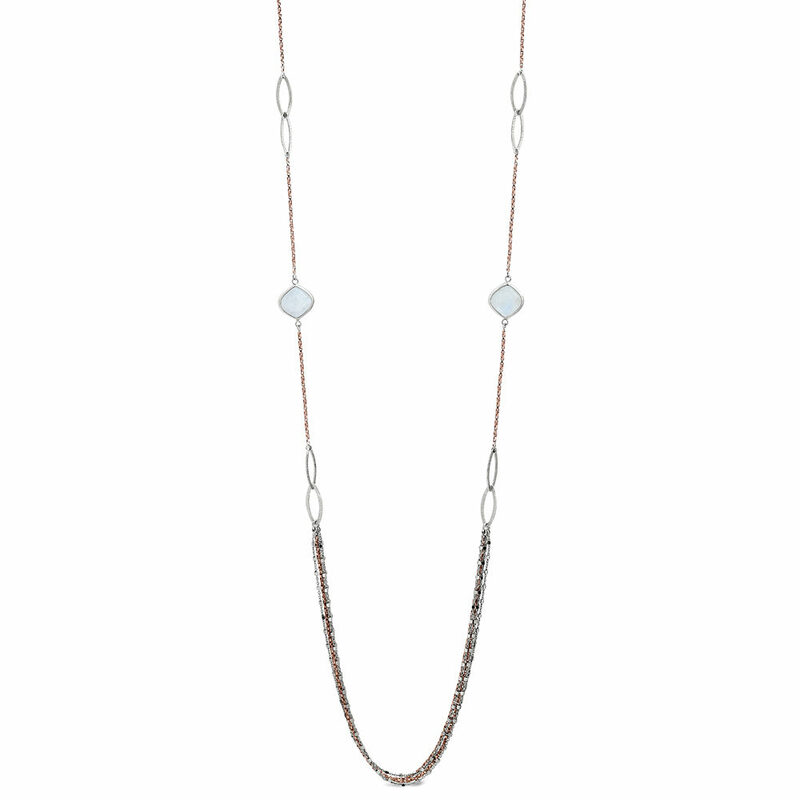 36′ necklace featuring cushion moonstones hanging between oval loops. 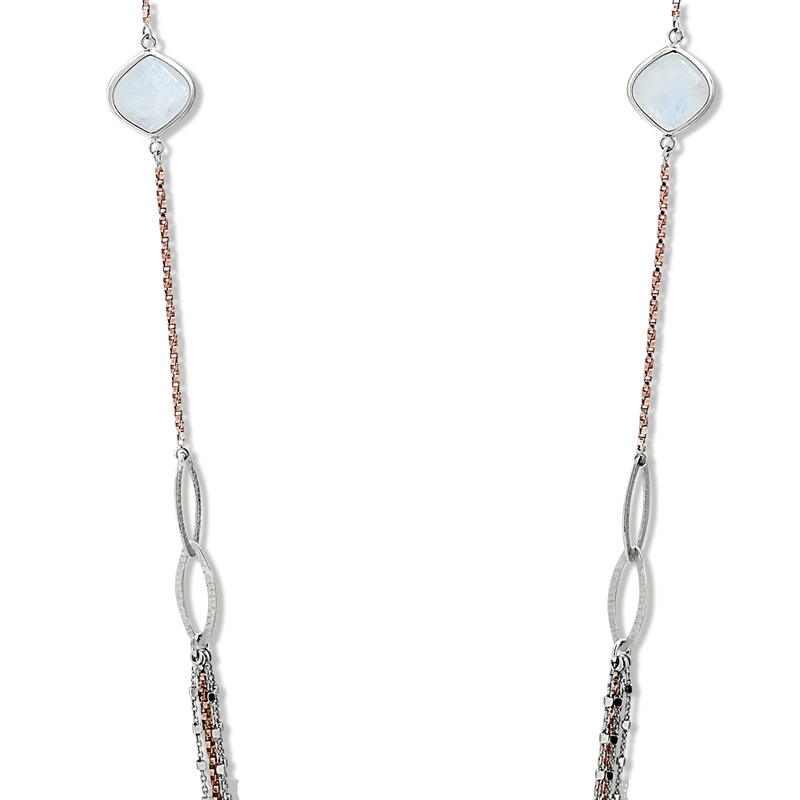 The drape of the necklace is 5 stands of yellow washed silver chain. Magnetic clasps make this easy and fun to wear.